Joe Clarke’s first novel, Mirrors Don’t Tell Lies, was almost 6 years in the making having undergone a series of rewrites in the process. 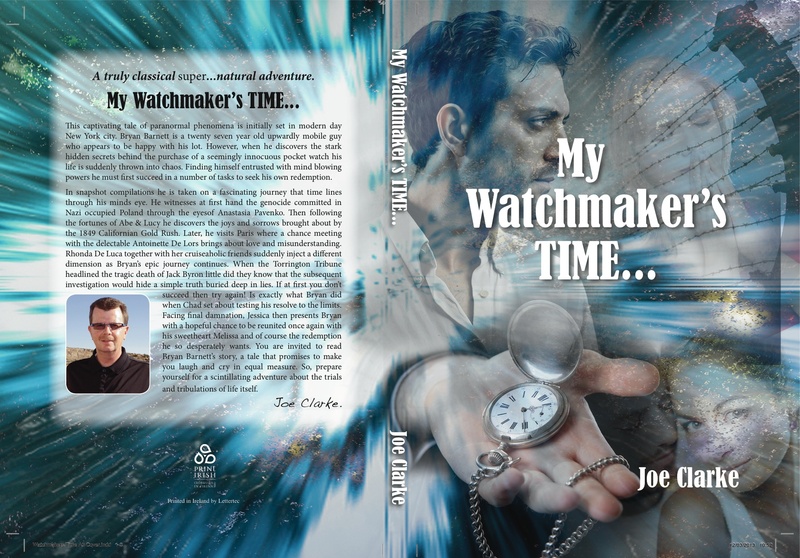 His latest publication, My Watchmaker’s Time, followed along in a similar vein although taking a year or so less to complete. This week I had a quick chat with Joe about his new novel from Selfpublishbooks.ie. Following on and prior to his early retirement Joe also dabbled with poetry, writing scores of poems along the way. Joe Clarke, golfer, traveller, fisher, has always had a healthy fascination with the written word. His first novel, Mirrors Don’t Tell Lies, has been reprinted this year by Selfpublishbooks.ie and we caught up with the author this week to chat about it. 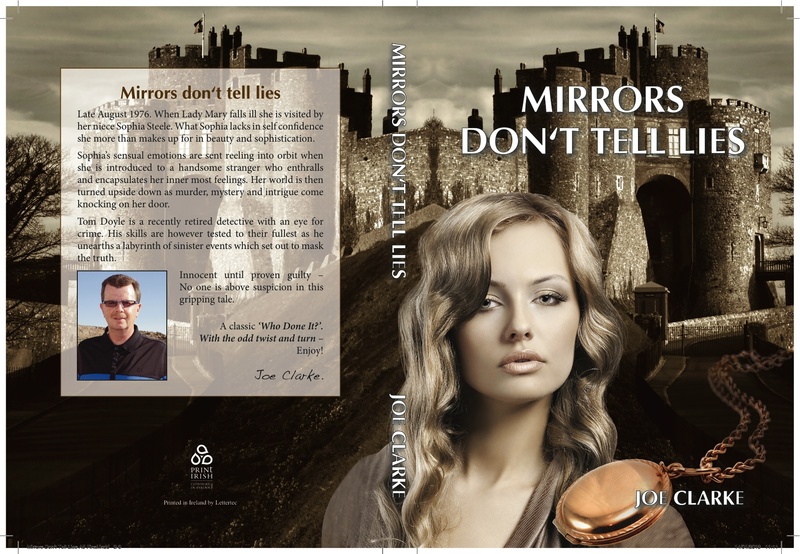 “Mirrors Don’t Tell Lies was my first novel,” Joe says, “It caught the bug from talking to another author friend in the States. I set about writing this book almost 5 years ago initially taking 5 months to complete. I have since rewritten it twice adding another 4 months on to this time-frame. With a love for detective movies, crime and the solving of same was always going to be the topic for my book. Pretty much with an open mind, no set agenda, I let my imagination run wild all the time developing the story and introducing characters as it went along. I have changed the original ending adding another chapter in the process. “From my teenage years I had a love for writing although in those days I favoured lyric writing, hoping it would give me my big break but alas it didn’t happen. For a time I also contributed to the Drogheda United match day programme. In the subsequent years following on from my retirement I initially wrote poetry which I still very much love to do. Maureen Fox was a journalist with the – then – Cork Examiner, now the Irish Examiner. At 15 she was expelled from school, her headmistress predicting that she would come to no good in life. After she joined the Examiner, in 1970, she became within a few years one of the most popular journalists in the South of Ireland, imaginative, creative and with great skills of communication. This book contains chapters about her exciting life and her journalism and offers a selection of her most characteristic and often controversial articles, written between 1971 and 1995. 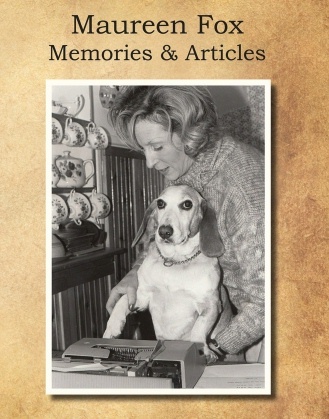 A special chapter deals with her immensely popular columns Paws Awhile, allegedly written by her dog Ponsonby. The book has been compiled and written by Jan van Putten. He was an award winning journalist in The Hague before becoming a professor of political science in Amsterdam. Jan and Maureen met in Moscow in 1987 and married two years later. Jan moved to Ireland in 1990. Between 1991 and 2006 the couple lived near Lismore, Co. Waterford. As “Himself”, Jan figured in many of Maureen’s columns. Maureen Fox: Memories & Articles is printed by Lettertec, Carrigtwohill, Co. Cork and is published on a self-publishing basis. by sending your order with your cheque to: “Puttenfox”, 9 Rue Haute Notre Dame, 56130 La Roche Bernard, France. by sending an e-mail to puttenfox@orange.fr and setting up an electronic transfer. The price of the book, if ordered through “Puttenfox” is €11.95 including postage and packaging. 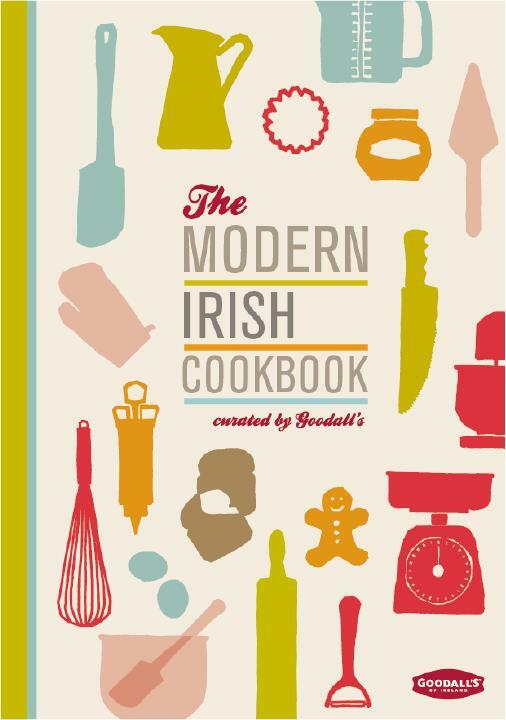 Selfpublishbooks.ie have published Goodall’s latest compilation of Irish cooking by (and for) Irish cooks. As outlined on Goodall’s website, this book contains a great variety of recipes — from light bites such as Spiced Beef Blinis to heartier meals like Tagliatelle & Smoked Trout — not to mention delicious desserts like Trifle Cake. The recipes are chosen by the Goodall’s team from a selection submitted by Ireland’s Food Blogging Community, about whom you will find out more in the book. Judging by the product, they certainly achieved their ends! Margaret was delighted to contribute two of her own recipes to the book: “My own fail safe way of cooking a roast chicken with lemon, herbs and white wine and a canapé dish of blinis with spiced beef and a horseradish cream.” Delicious! Margaret is a regular food blogger and cooking class leader herself — just take a look at her website: Umnumnum is an apt name! The other positive about this new publication is that all profits from it go to Cork Penny Dinners and Dublin Food Bank. Please donate here or here if you can. Some of our readers were wondering how they might go about getting an ISBN. And what is it, anyway? Why is it important? An ISBN is an International Standard Book Number. 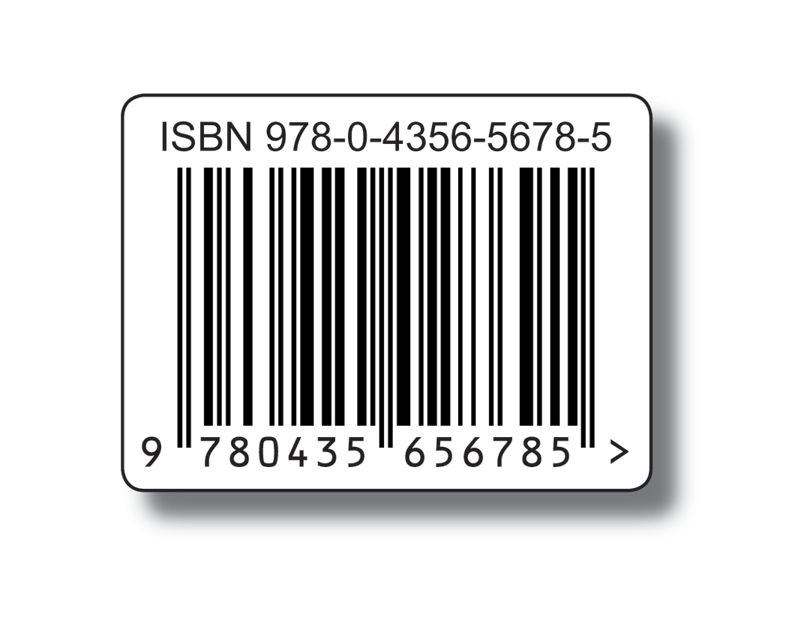 Up until the end of 2006 it was a 10 digit number, but from 1 January 2007 all ISBN numbers are now 13 digits long. It is used by publishers, booksellers and libraries, for ordering, listing and stock control purposes. It enables them to identify a particular Publisher and allows the Publisher to identify a specific edition of a specific title in a specific format within their output. In the past, ISBN numbers were 10 digits long but a new global standard, using 13 digits, has now been introduced. Under the new system which started on 1 January 2007, the 13 digits are always divided into five parts, separated by spaces or hyphens. There is no legal requirement in the UK or Republic of Ireland for an ISBN and it conveys no form of legal or copyright protection. It is a product identification number. If you wish to sell your publication through major bookselling chains, or internet booksellers, they will require you to have an ISBN to assist their internal processing and ordering systems. The ISBN also provides access to Bibliographic Databases such as BookData Online, which are organised using ISBNs as references. These databases are used by booksellers and libraries to provide information for customers. The ISBN therefore provides access to additional marketing tools which could help sales of your product. If you are interested in obtaining an ISBN or would like a better idea of what’s involved, just click here. 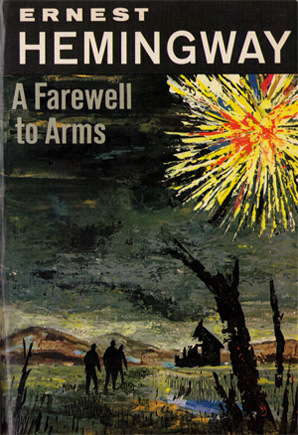 Today the Bookseller reported a new edition of Ernest Hemingway’s A Farewell to Arms including all twenty-nine alternate endings, which will be published in the US in October this year. 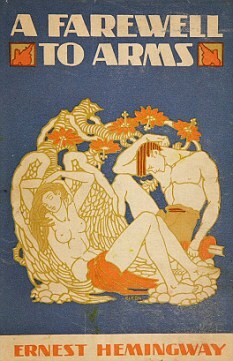 According to the Telegraph the final number is forty-seven — the reason for this discrepancy seems to arise out of the sheer volume of rewrites (ranging from total overhauls to tiny adjustments); Hemingway himself claimed that he went through thirty-nine variants before he was satisfied. 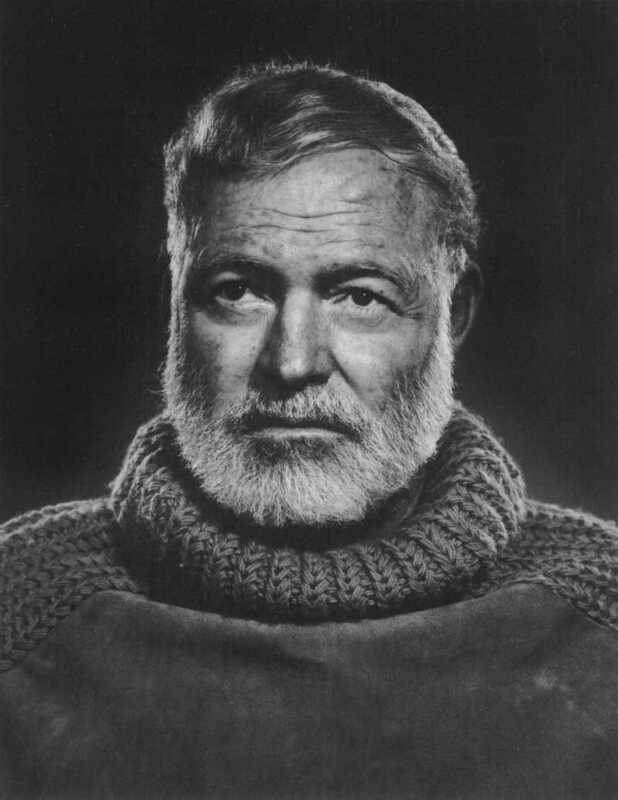 When he was asked by Paris Review interviewer George Plimpton what had been the reason for so many endings, Hemingway replied: “Getting the words right”. However, it’s the ending that the writer finally landed on that still feels the most appropriate, the publishing house’s head says. “Ultimately, I think we have to be glad that he went with the ending that he went with,” Susan Moldow, of Scribner, told the New York Times.